At Discover Strength, we adhere to the principle made popular by best-selling business author Jim Collins: First Who, Then What. This means that hiring a great team of people and providing them with an amazing employment experience is our primary focus. Our people come before everything else. We are committed to creating and growing an organization centered on our unique Core Values and Culture. We are passionate about being a part of a TEAM. We are looking for people who believe what we believe. One of the six passions of the founder of Discover Strength is to create a company where personal trainers can be financially successful. Discover Strength is unique in that the trainers work a “normal” 40 hour work week (see below) and are able to maximize their income. The personal trainer position is not a sales position. The personal trainer’s role is to focus on delivering world-class workouts and exceptional client experiences. On average, a Discover Strength personal trainer will make $45,000 in the first year; $52,000 in the second and third year; $61,000 in the fourth and fifth year and $70,000 after year five. Each personal trainer has the opportunity to make more based on taking on additional responsibilities, training more clients, etc., but these are averages that we expect a trainer to make when working a forty hour work week here at Discover Strength. In addition to the compensation, Discover Strength offers a competitive benefit package that includes paid time off, health insurance, 401k, and extensive internal and external education/development opportunities. What does the personal trainer’s hours and schedule look like? After a trainer has been with Discover Strength for 3 years, they have the autonomy to create their own schedule. 5 working days per week; this might include a rotation of weekends but the trainer always has two days off per week. Trainers are not limited to 40 hours per week. If they want to see more clients and increase earning potential, they are always welcome to work longer shifts or additional shifts. Why? Discover Strength avoids the industry norm of trainers seeing a smattering of clients from early AM into the late PM which contributes to very little work-life balance and burn-out for the trainer. Does the personal trainer acquire and sell their own clients?? No. Personal trainers at Discover Strength are not responsible for acquiring or “selling” their own clients. They actually do not have their own clients at all. When a new client starts, they become a client of Discover Strength, not of one specific personal trainer. This allows the client to have scheduling freedom and it allows the personal trainer to not have to bend over backwards to make their schedule align with a particular client. This is the ultimate win-win for both trainer and client. Must possess 4-year degree in Exercise Science or related field. Alignment and commitment to the Discover Strength Core Values of Learning, Servant Leadership, Creating our Own Future, and Science Based. A passion for strength training and the desire to help build the best customer service company in the world. How does Discover Strength make a personal trainer career sustainable? Constant learning and professional development. Internal “Core Growth Plan” that provides the framework for how a trainer moves toward mastery and continually increases compensation. Working with colleagues who are like-minded, team-first, and are aligned around the same goal. We constantly inspire excellence from one another. What type of training methodology does Discover Strength utilize? Strength training is the only modality of exercise that is administered in Discover Strength studios. Discover Strength employs an evidence-based approach to strength training, which examines the preponderance of peer-reviewed literature and applies these findings to client’s workouts. Extensive on-boarding and continual education process ensures that all trainers understand and adhere to this evidence-based approach. Discover Strength does not do fads or hype. Become a part of one of Minnesota’s Top 100 places to work in 2018 as a member of our Concierge Team. As the first person our clients meet when they walk through the door, you will play an integral part in ensuring every interaction, every workout, every visit at a Discover Strength location is a success. In addition to playing a pivotal role in our client experience, you will have the opportunity to become a subject matter expert in customer service, fitness, and sales. What hours do Concierge have? Concierge are hired to work either full-time (32-40 hours per week) or part-time. Available shifts include early morning (starting at 6:00am) as well as afternoon/evening (ending at 8:00pm) as well as weekends. What is the compensation for the Concierge? Concierge compensation begins at a range of $10-16 per hour and progresses rapidly as the Concierge works through our internal development process and progresses to as high as $24 per hour. What benefits do the Concierge receive? Concierge receive a host of benefits such as; Free Personal Training, Health Insurance (Full-time), and Continuing Education. What growth opportunities are available for the Concierge position? Each concierge follows an internal growth plan that guides them through a learning process that ensures not only development and the acquisition of transferable skills, but allows the concierge to create their own raises. We’re growing fast and looking to add hard-working and enthusiastic people to our team. We offer competitive compensation with a clear path for self-owned career growth, free personal training, and an unparalleled culture of servant leadership, learning, and fun. You have a passion for customer service and are committed to providing a 5 star customer experience EVERY SINGLE TIME. You have a passion for exercise. You are interested in being challenged to learn and grow in the areas of business, customer service, exercise, and personal development. Discover Strength is a small giant in the fitness industry focused solely on one-on-one and small group strength training. 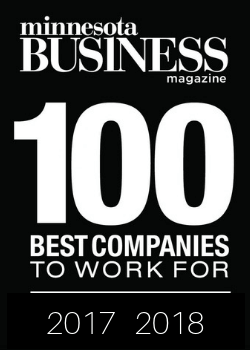 Voted Minnesota Business Top 100 places to work in 2017 & 2018, our commitment since day one, has been “First Who, then What;” the most important decisions we will ever make are people decisions. We’re obsessed with building a company based around people who are committed to our core values of Learning, Science-based, Servant Leadership, and Creating Our Own Future. Overview: The goal of the Discover Strength Winter Intensive Internship Program (WIIP) is to provide undergraduate students in kinesiology a learning experience that revolves around studying, implementing, and teaching the evidence‐based tenets of resistance exercise. The program balances an intensive study, discussion, and presentation of relevant peer ­reviewed research with a focus on hands ­on implementation skills. Internship Faculty: The WIIP is directed by Kevin Lewis, BS, ACSM Certified Exercise Physiologist. A team of Discover Strength practitioners with undergraduate and graduate degrees in kinesiology and exercise physiology, certifications from the ACSM, NSCA, NASM, and ACE, and a variety of professional experiences, form the WIIP faculty. Want to join the Discover Strength Team? Complete the form below and someone from our hiring team will contact you with more information. You will be asked to provide a resume and cover letter prior to any interviews being scheduled.